Commonly called Aloe yucca, or Spanish bayonet, Yucca aloifolia is a stocky succulent known for its lanceolate leaves and large flower spikes. Aloe yucca is a striking feature in the landscape as either a solitary statement plant or en masse. Despite its common name, plants are not true aloes. 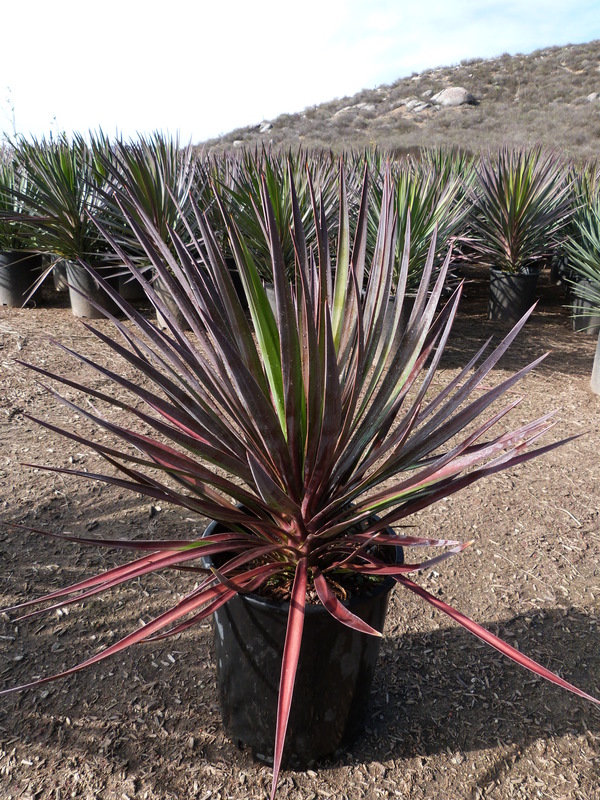 This species is often confused with the Spanish Dagger (Yucca gloriosa), but you can usually tell the difference by looking at the growth habit and leaves. Yucca aloifolia has an erect trunk with sharp strap-like leaves that reach 2-feet long. The young leaves point upwards while the older leaves are reflexed and point downward. The tips of the leaves are very sharp, so take care planting in landscapes frequented by children. Plants often become top heavy once they become tall, then the tip will continue growing upward. Plants develop 2-foot tall spikes of flowers that are bell-shaped and white with a purple edge. Small fruits follow. After the plant flowers, the tip will stop growing and lateral shoots will form. Plants will also form pups at the base of the plant, which give this species a thicket like growth habit. Plants are tolerant of salty conditions and good for planting along the shore. They do best in a light, sandy soil.